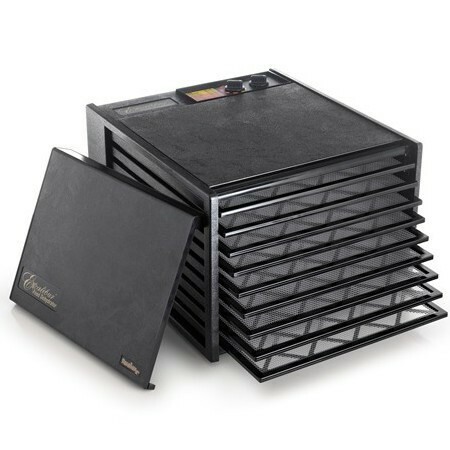 Create delicious healthy raw food free from preservatives and additives with this high quality Excalibur 9 tray dehydrator. A huge variety of fresh foods can be dried to preserve the flavour, nutritional value and shelf life including fruits, vegetable, fish and meats. 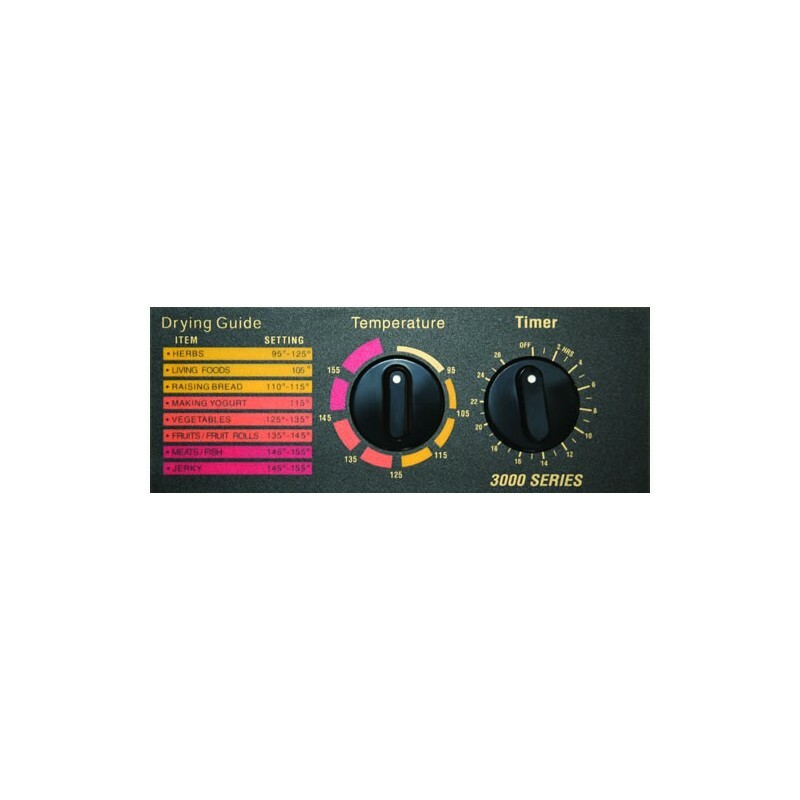 Very easy to use with an adjustable temperature control and 26 hour timer. 2 year warranty. Buying this product = 499 Reward points for Members. Your cart will total 499 points = voucher of $24.95. Not a Member? Join at checkout to claim these points. 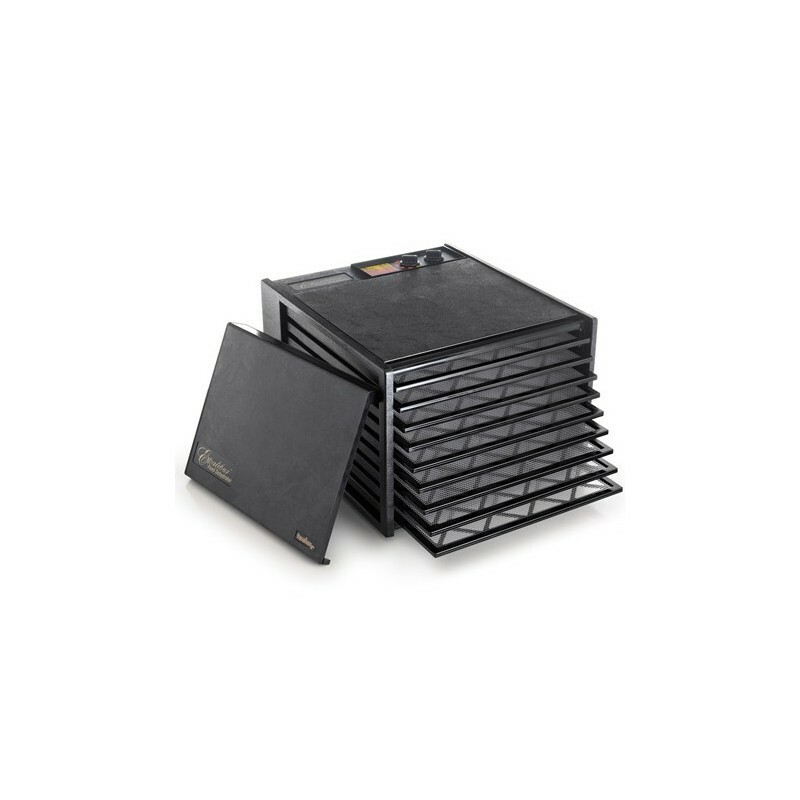 The Excalibur Dehydrator is considered to be the best food dryer in quality and performance currently on the Australian market. Please allow approximately 1-2 weeks for delivery. Purchases can be made online, or in our Brisbane stores by special order. For in store, you can either order online here and elect to pick up in store, or call or drop in to a store to order. With a dehydrator you can create your own dried fruits, herbs, spices, healthy snacks, vegetables and even dried fish & jerky meats. It is the easiest, healthiest and most economical method of preserving foods naturally in the home. You can even make yoghurt or dry materials for crafting. For those with allergies or concerns about the presence of artificial additives and preservatives in our food this is an essential kitchen tool. It is easier than canning or freezing - simply wash, slice and load the food onto the trays and within hours (time varies depending upon the produce) food will be ready to eat or store. Perfect for gardeners or market shoppers who have a surplus of seasonal produce to enjoy beyond it's 'fresh' life. Food drying is an ancient process of preserving food that works by removing the water content that bacteria, yeasts and moulds need to grow. As food dries the natural flavours and sugars concentrate which intensifies the taste, and keeps intact the nutrients and healthy enzymes that are often destroyed by cooking. A unique Parallexx™ drying system for even horizontal airflow - eliminating the need to re-stack trays. Adjustable precision temperature control and a 26 hour timer. Hyperwave Fluctuation™ technology ensures consistent drying of the whole produce, not just a dried exterior with moisture still inside and vulnerable to bacteria. The fan, heating element, and adjustable thermostat are mounted in the rear. Cool air is drawn in the back, heated up, and distributed evenly across each tray. The warm air is pushed out the front of the machine. The Excalibur is considered the only dehydrator suitable for drying food to be ground into powder (spices etc). Removable trays allow for customising the drying space to accomodate different sized items. Trays are dishwasher safe. The trays have a mesh base, we recommend using a safe silicone baking mat for a seamless surface. Electronic components are mounted to the back so there is no risk of exposure to the food (spills etc). Manufactured from medical grade recycled plastics (door, trays, handles & outer casing). Low wattage power consumption - averages about 7c of electricity per hour. No harmful fumes emitted due to the low heat, unlike lower quality styrene dehydrators. Adjustable thermostat 35°C - 68°C. 9 trays each 35cm x 35cm. AU Standard Plug / 230V / 50 Hz. Browse all our raw foods range including recipe books. *Price includes FREE SHIPPING Australia wide. Each dehydrator is thoroughly checked & tested before shipping. For a recipe on how to make Kale Chips and some more info on the Excalibur Dehydrator, check out our blog post on food drying. Firstly, I must confess that I haven't purchased one of these - yet!! One of my friends acquired one of these recently and I wasn't that interested, until that is, I saw it in action. She showed me how easy it was to turn a whole bunch of apples from the tree in her garden into dried apple slices, without any of the preservatives you find added to those in the supermarket, not to mention the cost saving. I've also now been introduced to dried berries and rosemary from the bush in the garden. Tine to start saving up for my own! !